Many people avoid cooking cabbage as a means of evading the strong, lingering odor that is released when cabbage has been cooked for too long. 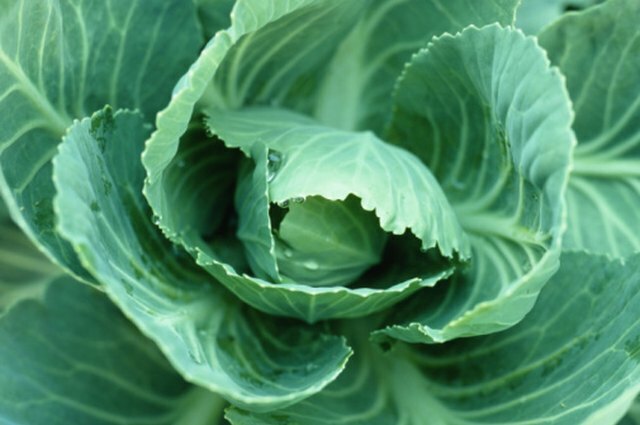 The smell is the result of hydrogen sulfide, a gas that is released when the cabbage has been overcooked. Hydrogen sulfide smells like rotten eggs, and can be quite unpleasant. 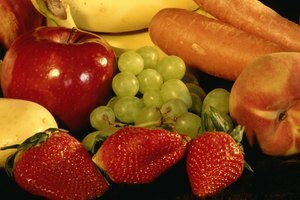 The easiest way to avoid the scent altogether is to cook your cabbage quickly and efficiently. Since the smell is exacerbated by lengthy cooking methods, flash cooking your cabbage can help you avoid it altogether. If you are using cabbage as part of a recipe, cook the cabbage alone and add the cooked cabbage in with the other ingredients once they are prepared. The unpleasant cabbage smell is released by overcooking, so cook the cabbage only as long as necessary, never more. Boiling is one of the fastest methods to cook cabbage. Make sure your water is at a rolling boil before adding the cabbage; adding your cabbage to the hottest possible water ensures that it will start cooking the second it is dropped in the pot. Furthermore, if you are not avoiding salt for your recipe, adding a tablespoon salt to the water will help to raise the boiling point slightly so the water can boil hotter. Cut your cabbage efficiently. If you are making cabbage rolls, for example, your recipe requires whole cabbage leaves. Separating the leaves before cooking and boiling them individually means they will cook faster than a whole head. Coring and quartering the cabbage before cooking cuts down on time wasted cooking the core. Try using your microwave. 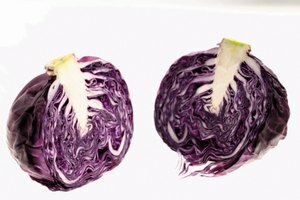 Microwave your cut cabbage in a wet paper towel for one minute before boiling. The microwave will help to soften the cabbage so that it cooks even faster in the boiling water. If you are cooking red cabbage, add a few drops of white vinegar to your boiling water to prevent the cabbage from discoloring.